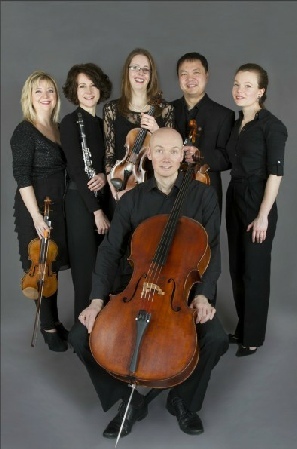 Clarinet and piano quintets played by this highly regarded British ensemble. The programme will include a new work by Ian Venables, whose String Quartet was such a highlight of last season. Elgar’s ravishing Piano Quintet, with a slow movement as beautiful as anything written in the genre, will be performed alongside the rarely heard Somervell Clarinet Quintet, both pieces written shortly after the First World War had ended. Rubbra’s stirring Lyric Movement completes a programme made possible by a most generous donation from the Rubbra estate.